Be one of the best professionals in the world in the field of Posture. Postural Balance is the most advanced course of postural correction today. It allows the practitioner to use several powerful clinical tools, assessing and treating the patient in all aspects of posture. It is all based on science and clinical practice. These tools can be applied to several pathologies that require conservative therapy: morphological, articular, neurological, traumatic-orthopedic, fascial, equilibrium, TMJ influence, respiratory and sports problems. This course is extremely practical, with manual clinical content, loaded with full assistance from the teacher. This is usually a watershed course for many therapists, with its efficiency attested by many professionals and patients. the most modern tools for Postural correction – all in one place. The philosophy of Postural Balance is to provide the most efficient biomechanical techniques ever proven in scientific literature. All this in a dynamic and efficient way. 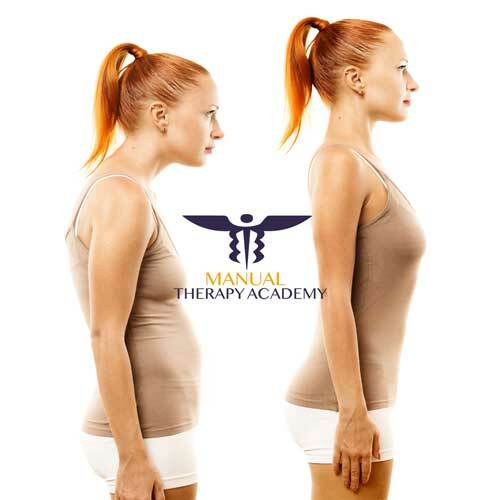 It is the Ultimate Postural Correction course. For those who only have Postural Chains, everything is chains. For those who only have Rolfing, everything is Fascia. Muscular Chains are a very important factor to consider. Much like the fascia is extremely important. But what if your patient’s problem is lack of balance? Or a TMJ dysfunction? Postural Balance is a knowledge that has already made a difference in the care of several therapists in the world. It is the junction of the most advanced muscle, myofascial, manipulative, and nervous techniques for postural correction. Evidence-based teaching and more than 20 years of clinical, pedagogical and scientific experience by Dr. Joe Rosario, author of several books, book chapters, and scientific articles in the field. 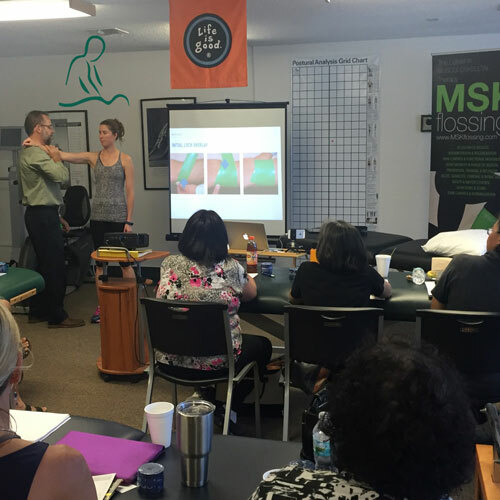 Rather than learning a technique alone, you will learn all the techniques necessary to effectively correct the posture of your patients. Essentially practical classes, guaranteeing the certainty of learning and the teacher’s attention in the most important aspects of the techniques. This course counts as a workload for the Specialization in Posture of the Instituto Terapia Manual in Brazil. Why is it important to know how to treat Posture? Poor posture can be generated by many different systems. The muscular system is the most obvious. However, Fascias and Connective Tissue make a great influence. The nervous system commands the whole body and can make its influence as well. The vestibular system, eyes, TMJ, plantar proprioception also alter posture. The problem is that, in terms of assessment, treatment, and outcome, posture can affect and be affected by a very large number of factors. The idea of Postural Balance – Advanced Posturology Seminar – is to understand all these systems that influence the postural attitude, how to evaluate them and how to treat them in the most efficient way possible. Bad posture causes many problems, pains, and pathologies. Some of the many examples are different types of musculoskeletal pain, tendinitis, osteoarthrosis, herniated disc, nerve clenching, low back pain, and sciatica. Thus, efficient postural treatment is essential in your therapeutic arsenal. Consequently, Postural Balance, as the most advanced course about posture in present-day, is mandatory for anyone interested in solving the postural problems of their patients. Why Does Postural Balance Make a Difference in Postural Treatment? In general, techniques for postural treatment focus on only a few aspects of the problem. Some techniques only strengthen the weak agonist and stretch the shortened antagonist. However, muscles rarely work with this reductionist biomechanics. Some techniques that work exclusively with muscular chains forget that muscles rely on fascia to do their postural work. Some techniques that use fascial treatment forget the essential role of muscle contraction in postural maintenance physiology. Thus, Postural Balance, which deals with static, takes into account the integrality of postural biomechanics and postural systems. Only then, true postural correction and pain relief are promoted in a greater number of cases. In addition to Dynamic Balance and Emotional Balance, they work as a fusion of the best techniques that aim to treat the human being holistically. COORDINATION: Dr. Joe Rosario, Physiotherapist graduated from the Federal University of São Carlos, Master’s degree from USP Medical School, Ph.D. from UNIFESP. Postdoctoral degree in Behavioral Medicine. Specialist in Acupuncture, Chiropractic, and Osteopathy. He defended a master’s thesis comparing Segmented Stretching and Myofascial Chains Therapy. He studied the relationship between Posture and Emotions in his Ph.D. thesis. Classroom material: Bring appropriate clothes for practice. Learn to choose the most appropriate resource or technique to heal the root of your patient’s problem. Did you know that a Eucalyptus tree produces 7500 sheets of paper? To preserve the trees CMTA chose to use digital handouts. There will be a fee of 119 dollars if the student wants the printed booklet. Nature is grateful for your cooperation. Brilliant! I completely change my practice after the seminar. This professor is the best. It is really a great course, I loved! My patients too!